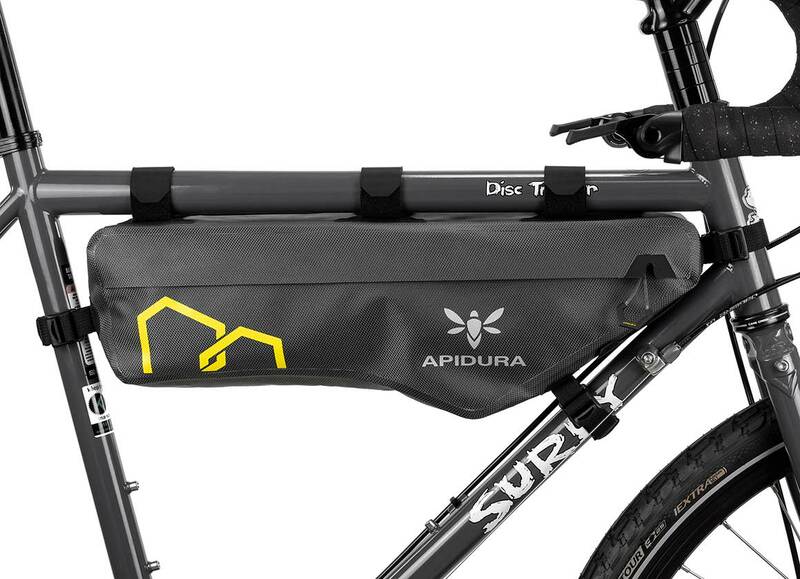 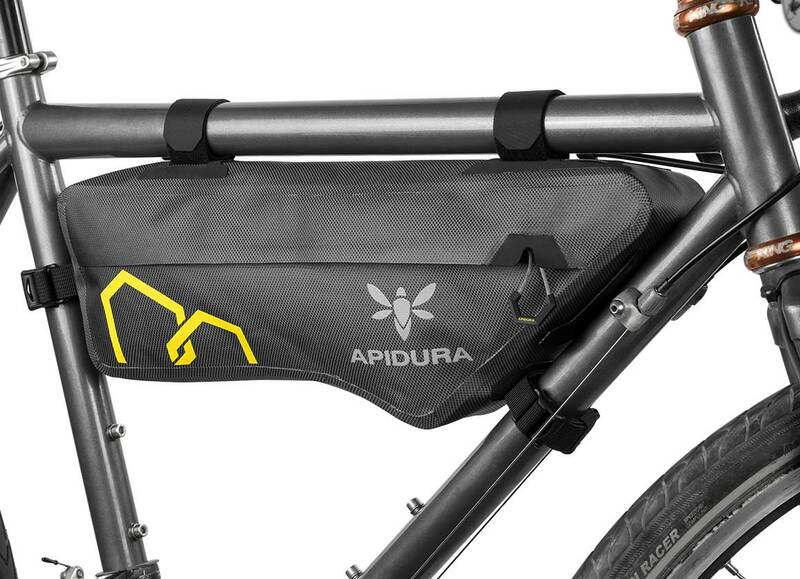 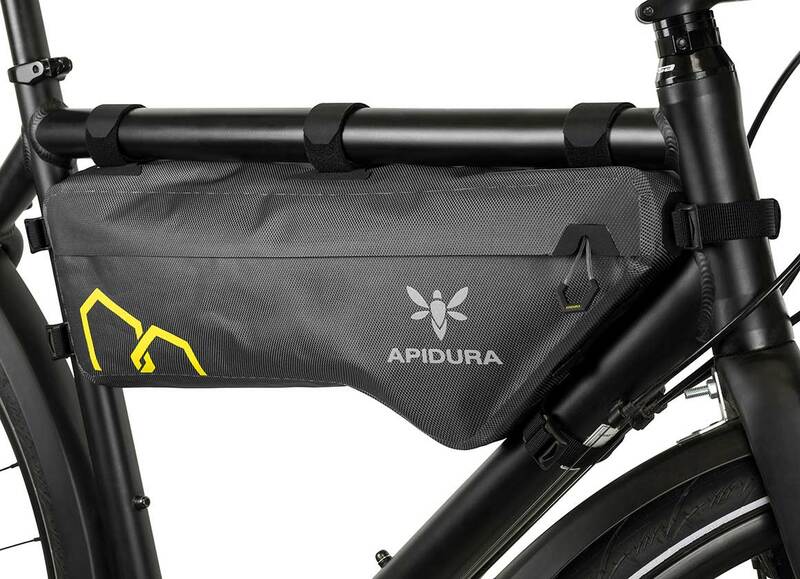 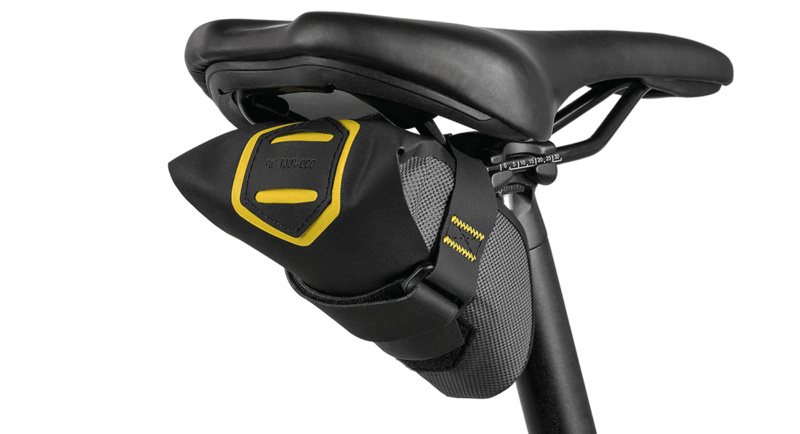 The Pack securely fastens to the top tube with Hypalon-reinforced velcro straps, and is useful for storing heavier items as part of a larger Bikepacking setup. 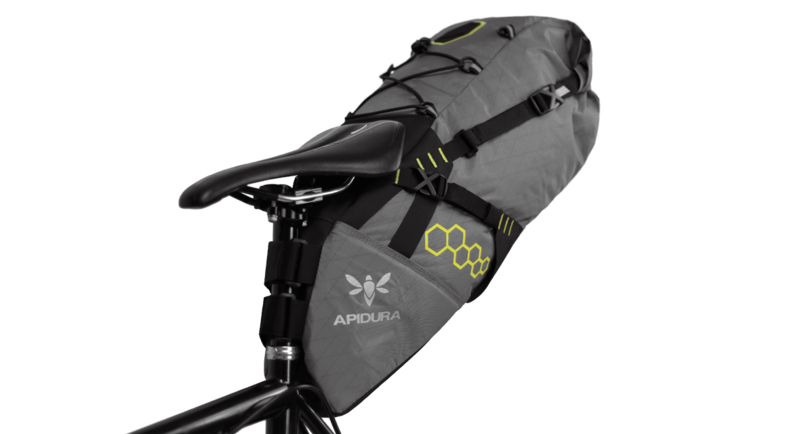 The result is an even, balanced load, making longer tours and multi-day trips more comfortable. 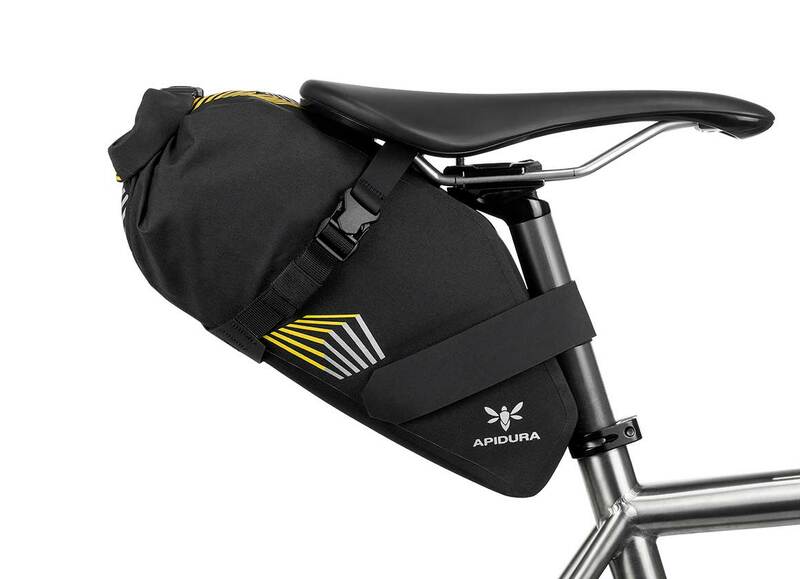 The Pack is equally handy when used on its own for storing essentials on a daily commute.